Gordon Ramsay is Britain's most celebrated chef and restaurateur - the only London chef to hold three coveted Michelin stars for his restaurant, Gordon Ramsay, in Chelsea. He accepts nothing less than the best - every dish must be superbly cooked and perfectly presented to receive his stamp of approval. In A Chef for All Seasons, he presents a delicious range of utterly contemporary recipes that are totally accessible to the home cook. 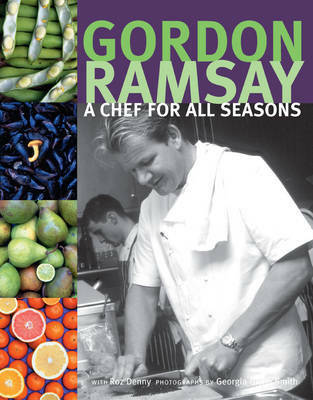 Focusing on four seasonal chapters - Spring, Summer, Autumn and Winter - Gordon discusses his favourite ingredients, giving culinary tips and suggests unusual and innovative taste combinations, such as lavender and chocolate, and peaches with aromatic thyme.